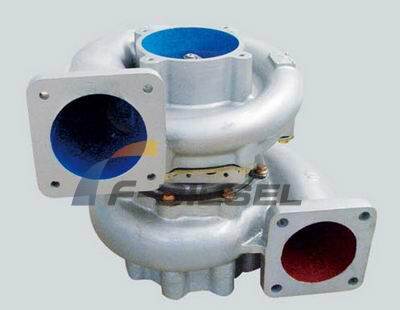 The RR is a lightweight, low-cost turbocharger of robust design, offering high efficiency, high gas-inlet temperature capability and good compressor characteristics. The RR is designed for an output range of about 500 kW to 1,800 kW. It is used on rail as well as earthmoving and mining equipment. High reliability is achieved through a commitment to highestmanufacturing quality and close tolerances. All RR turbochargers are provided with water connections at the compressor end, enabling them to be washed with water in service.